SR5 trim, QUICKSAND exterior and BLACK interior. Bluetooth, Tow Hitch, 4x4, Back-Up Camera, iPod/MP3 Input, Satellite Radio. Warranty 5 yrs/60k Miles - Drivetrain Warranty; AND MORE!======KEY FEATURES INCLUDE: 4x4, Back-Up Camera, Satellite Radio, iPod/MP3 Input, Bluetooth MP3 Player, Keyless Entry, Privacy Glass, Child Safety Locks, Heated Mirrors. Toyota SR5 with QUICKSAND exterior and BLACK interior features a 8 Cylinder Engine with 381 HP at 5600 RPM*. Horsepower calculations based on trim engine configuration. Please confirm the accuracy of the included equipment by calling us prior to purchase. SR5 trim, QUICKSAND exterior and BLACK interior. Bluetooth, iPod/MP3 Input, 4x4, Tow Hitch, Satellite Radio, Back-Up Camera. Warranty 5 yrs/60k Miles - Drivetrain Warranty; READ MORE!======KEY FEATURES INCLUDE: 4x4, Back-Up Camera, Satellite Radio, iPod/MP3 Input, Bluetooth. MP3 Player, Keyless Entry, Privacy Glass, Child Safety Locks, Heated Mirrors. Toyota SR5 with QUICKSAND exterior and BLACK interior features a 8 Cylinder Engine with 381 HP at 5600 RPM*. Horsepower calculations based on trim engine configuration. Please confirm the accuracy of the included equipment by calling us prior to purchase. Bluetooth, Hitch, 4x4, Back-Up Camera, iPod/MP3 Input, Satellite Radio. SR5 trim. Warranty 5 yrs/60k Miles - Drivetrain Warranty; READ MORE!======KEY FEATURES INCLUDE: 4x4, Back-Up Camera, Satellite Radio, iPod/MP3 Input, Bluetooth. MP3 Player, Keyless Entry, Privacy Glass, Child Safety Locks, Heated Mirrors. ======EXPERTS ARE SAYING: Edmunds.com's review says ''Side to side, front and back, headroom and legroom you name it, there's lots of it everywhere.''. Please confirm the accuracy of the included equipment by calling us prior to purchase. BARCELONA RED METALLIC exterior and GRAPHITE interior, SR5 trim. Bluetooth, iPod/MP3 Input, ALL WEATHER FLOOR LINER & DOOR SILL P... Hitch, 4x4, Satellite Radio, Back-Up Camera. Warranty 5 yrs/60k Miles - Drivetrain Warranty; READ MORE!======KEY FEATURES INCLUDE: 4x4, Back-Up Camera, Satellite Radio, iPod/MP3 Input, Bluetooth MP3 Player, Privacy Glass, Keyless Entry, Child Safety Locks, Heated Mirrors. ======OPTION PACKAGES: ALL WEATHER FLOOR LINER & DOOR SILL PROTECTOR PKG. Toyota SR5 with BARCELONA RED METALLIC exterior and GRAPHITE interior features a 8 Cylinder Engine with 381 HP at 5600 RPM*. ======EXPERTS ARE SAYING: ''Toyota's 2018 Tundra pickup knows how to be tough when it counts and comfortable when it's needed most. On the road, the Tundra surprised us with its quiet cabin and pleasant road manners.'' -KBB.com. Horsepower calculations based on trim engine configuration. Please confirm the accuracy of the included equipment by calling us prior to purchase. BARCELONA RED METALLIC exterior and GRAPHITE interior, SR5 trim. Bluetooth, iPod/MP3 Input, ALL WEATHER FLOOR LINER & DOOR SILL P... Tow Hitch, 4x4, Satellite Radio, Back-Up Camera. Warranty 5 yrs/60k Miles - Drivetrain Warranty; SEE MORE!======KEY FEATURES INCLUDE: 4x4, Back-Up Camera, Satellite Radio, iPod/MP3 Input, Bluetooth. MP3 Player, Privacy Glass, Keyless Entry, Child Safety Locks, Heated Mirrors. ======OPTION PACKAGES: ALL WEATHER FLOOR LINER & DOOR SILL PROTECTOR PKG. Toyota SR5 with BARCELONA RED METALLIC exterior and GRAPHITE interior features a 8 Cylinder Engine with 381 HP at 5600 RPM*. ======EXPERTS CONCLUDE: KBB.com explains ''Toyota's 2018 Tundra pickup knows how to be tough when it counts and comfortable when it's needed most. On the road, the Tundra surprised us with its quiet cabin and pleasant road manners.''. Horsepower calculations based on trim engine configuration. Please confirm the accuracy of the included equipment by calling us prior to purchase. SR5 trim. Bluetooth, Tow Hitch, 4x4, Back-Up Camera, iPod/MP3 Input, Satellite Radio, Edmunds.com's review says ''Side to side, front and back, headroom and legroom you name it, there's lots of it everywhere.''. AND MORE!======KEY FEATURES INCLUDE: 4x4, Back-Up Camera, Satellite Radio, iPod/MP3 Input, Bluetooth. MP3 Player, Keyless Entry, Privacy Glass, Child Safety Locks, Heated Mirrors. ======EXPERTS ARE SAYING: Edmunds.com explains ''Side to side, front and back, headroom and legroom you name it, there's lots of it everywhere.''. Please confirm the accuracy of the included equipment by calling us prior to purchase. Bluetooth, iPod/MP3 Input, TRD OFF ROAD PACKAGE, Trailer Hitch, 4x4, Satellite Radio, Back-Up Camera. SR5 trim, CAVALRY BLUE exterior and BLACK interior. Warranty 5 yrs/60k Miles - Drivetrain Warranty; SEE MORE!======KEY FEATURES INCLUDE: 4x4, Back-Up Camera, Satellite Radio, iPod/MP3 Input, Bluetooth. MP3 Player, Keyless Entry, Child Safety Locks, Electronic Stability Control, Heated Mirrors. ======OPTION PACKAGES: TRD OFF ROAD PACKAGE Tires: P275/65R18 All-Terrain, Sliding Rear Window w/Privacy Glass, TRD Off Road Floor Mats, Trail-Tuned Bilstein Shock Absorbers, Engine & Fuel Tank Skid Plates, Rear Under-Seat Storage Compartment, LED Headlights w/Smoked Housings, Bedside TRD Off Road Decal, Wheels: 18'' x 8J Split 5-Spoke TRD Off Road Alloy, black accents, Illuminated Entry System, illumination for cab and driver footwell, Wide Angle LED Front Fog & Driving Lights. Toyota SR5 with CAVALRY BLUE exterior and BLACK interior features a 8 Cylinder Engine with 381 HP at 5600 RPM*. Horsepower calculations based on trim engine configuration. Please confirm the accuracy of the included equipment by calling us prior to purchase. NAV, Back-Up Camera, Brake Actuated Limited Slip Differential, 4x4, RADIO: ENTUNE AM/FM/HD W/CD PLAYER, ALL WEATHER FLOOR LINER & DOOR SILL P... Tow Hitch. SR5 trim, CAVALRY BLUE exterior and GRAPHITE interior. CLICK NOW!======KEY FEATURES INCLUDE: 4x4, Back-Up Camera, Trailer Hitch, Brake Actuated Limited Slip Differential. Keyless Entry, Privacy Glass, Child Safety Locks, Electronic Stability Control, Heated Mirrors. ======OPTION PACKAGES: SR5 UPGRADE PACKAGE front center console w/3 cupholders and replaces standard equipment column shifter w/floor mounted urethane shift lever and knob, Urethane Tilt/Telescopic Steering Wheel, Anti-Theft Immobilizer w/Alarm, Front Bucket Seats, 8-way power-adjustable driver's seat w/power lumbar support and 4-way manual adjustable front passenger seat, 38 Gallon Fuel Tank Capacity, WHEELS: 18'' X 8J 5-SPOKE ALLOY Tires: P275/65R18 AS, RADIO: ENTUNE AM/FM/HD W/CD PLAYER integrated navigation system, MP3/WMA playback capability, AM/FM cache radio, 9 speakers, 7'' high-resolution touch-screen w/split-screen display, auxiliary audio jack, USB 2.0 port w/iPod connectivity and control, Gracenote album cover art, HD predictive traffic and Doppler weather overlay, Bluetooth hands-free phone capability w/advanced voice recognition, phone book access and music streaming and Siri Eyes Free, HomeLink Universal Transceiver, Auto-Dimming Rearview Mirror, Entune App Suite, Destination Search, iHeartRadio, MovieTickets.com, OpenTable, Pandora, Yelp, Facebook Places, Slacker Radio and real-time info w/traffic, weather, fuel prices, sports and stocks, SIRIUSXM Satellite Radio, complimentary SiriusXM All Access 90-day trial subscription, ALL WEATHER FLOOR LINER & DOOR SILL PROTECTOR PKG. Toyota SR5 with CAVALRY BLUE exterior and GRAPHITE interior features a 8 Cylinder Engine with 381 HP at 5600 RPM*. Horsepower calculations based on trim engine configuration. Please confirm the accuracy of the included equipment by calling us prior to purchase. The popular Toyota Tundra gives Pahrump off-road warriors access to power V8 engines capable of delivering up to 381-hp, 4WD and RWD powertrains, as much as 10,100 pounds of towing capability, and style that goes on for days. Pick your trim here then keep reading to see why, when you want to get more out of your Tundra, Findlay Toyota near Mesquite should be your first stop. Because half the fun of owning a stylish Toyota is showing it off. 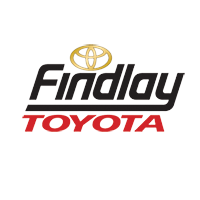 Get yours at Findlay Toyota and see how much better your next Las Vegas adventure could be.